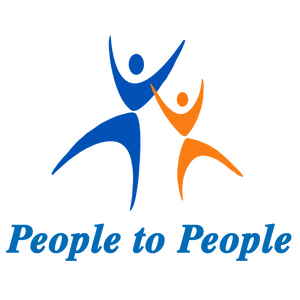 People to People works with many mental health disorders. Our staff is professionally trained to determine what forms(s) of treatment will be most effective for you and assist you through the process. We offer professional services that are client-lead. Our utmost concern is being respectful towards our clients and maintaining their confidentiality. Our licensed mental health professionals offer behavioral health counseling as well as psychotherapy services. We maintain a strictly professional relationship with our clients. March 14, 2019: Looking for something fun to do with your significant other, partner or spouse? Come to our Couples Night on March 14th from 5:30 to ? Every couple will go home with their own, one of a kind, set, of hand painted wine glasses. The cost is 25.00 per couple. It will be at Mr. Lee's downstairs. We will have door prizes along with lots of fun. Call us at 740-432-1800 with any questions. We will begin selling tickets February 14th. Purchase tickets: Stop at 1 of our 2 our office locations: 1200 E. Wheeling Avenue or 128 S. 12th Street both in Cambridge Ohio to purchase tickets or go to our upcoming community events page. Hope to see you there. The mission of People to People is to provide services that empower individuals and families to enhance their quality of life. We offer professional mental health services to individuals, children and families. Our staff is professionally trained to determine what forms(s) of treatment will be most effective for you and assist you through the process. People to People strives to help expand possibilities by developing ones potential.